The Catalan president, Carles Puigdemont, proclaimed independence for Catalunya yesterday, but immediately suspended it, calling for dialogue with Madrid first. 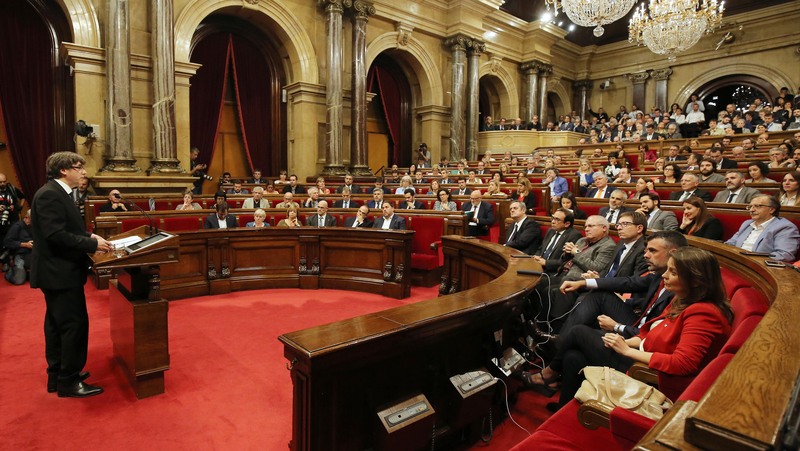 Puigdemont gave a statement to the Catalan parliament on the evening of Tuesday 11 October. An independence referendum was held on 1 October at which 2.2m Catalans voted and the result was 90 per cent in favour of independence. However, the vote was disrupted by violence from the Spanish police and the Spanish government refuses to recognise the outcome. 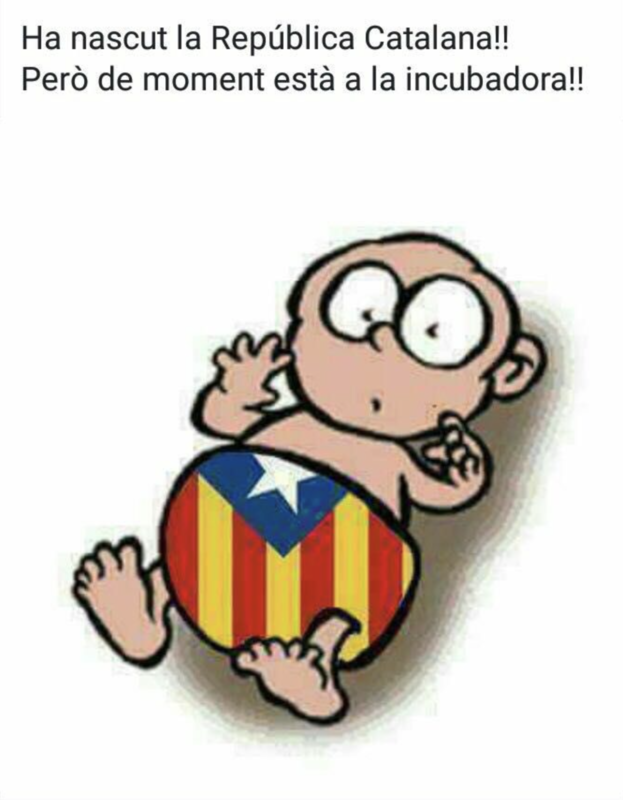 Puigdemont said: “In presenting to you the results of the referendum before Parliament and our co-citizens, that the people have determined that Catalunya should become an independent state in the form of a republic. The members of the CUP, the left-wing pro-independence party, did not applaud Puigdemont’s statement. Spanish deputy prime minister, Soraya Saenz de Santamaria, said the Spanish government could not accept the results of the referendum as it had been suspended. 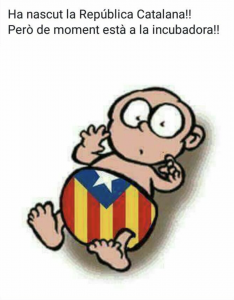 Commentators are currently speculating that the Spanish state will apply article 155 of the Spanish Constitution, which would give central government power over Catalunya. The Spanish cabinet met this morning. No statement has yet been made. Read Carles Puigdemont’s full statement here in English. We publish stories like this because we believe English-speakers in the Terres de l’Ebre should be well informed about what is going on in their area. So while you’re here, we’ve got a small favour to ask. Hundreds of readers find Ebre Connect interesting and useful, but we need your support to continue. We only publish good quality, accurate copy, overseen by a professional editor. This takes time and hard work to create – and we provide it to you for free. We never copy and paste from other websites. Advertising revenues across the media are plummeting and it’s tough for small, independent enterprises like ours to survive. We do it because we believe in what we’re doing – and we hope you do too. Please consider a donation: if every regular reader donated 15 euros a year we’d be able to look forward to a more secure future. Just click below and use your credit card or PayPal.